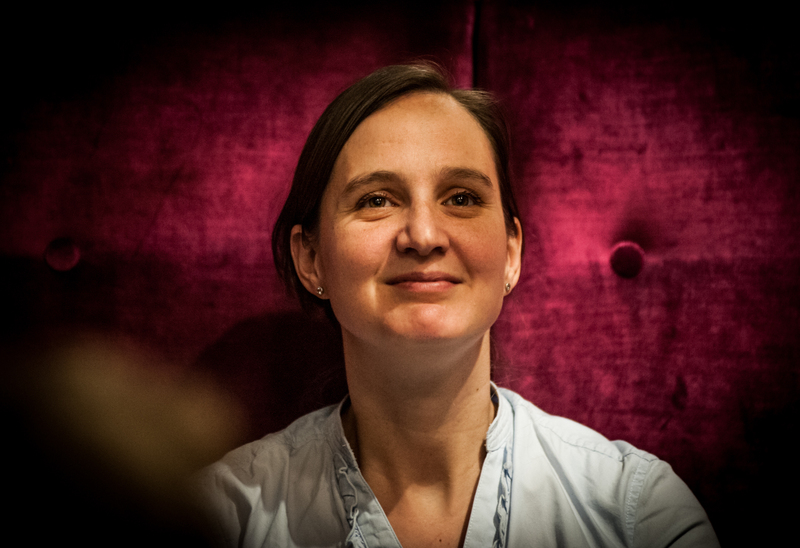 Barbora is the artistic director of Tiburtina ensemble and also plays medieval harps and psaltery. Barbora has been involved in music since childhood, when she began playing the piano and singing. In 1995, she became a member of the Prague Philharmonic Children’s Choir, with which she sang in more than 300 concerts, in many opera performances in the National Theatre and the State Opera in Prague, on CD recordings and in concert tours around the world, including Carnegie Hall, New York and the National Theatre, Kuala Lumpur. After completing grammar school, Barbora studied choir-conducting and church music in the Faculty of Education and Musicology in the Faculty of Philosophy of Charles University in Prague. She is currently undertaking postgraduate studies in musicology in the University’s Faculty of Philosophy, specialising in Gregorian chant under the direction of Mr. David Eben. Since 2009 she has taught Gregorian chant in the University’s Faculty of Education. She is very active in research on the Czech tradition of Gregorian chant, working on sources in the Convent of St. George within Prague Castle. She is member of the Fontes Cantus Bohemiae research team. She also studied singing privately with J. Jonášová and E. Toperczerová and attended masterclasses in the interpretation of early music with Marius van Altena, Peter Kooij, Julie Hassler, Howard Crook and Joel Frederiksen. Her principal interest is in the interpretation of medieval music - above all Gregorian chant and polyphony - and in the interpretation of early music vocal repertoire. 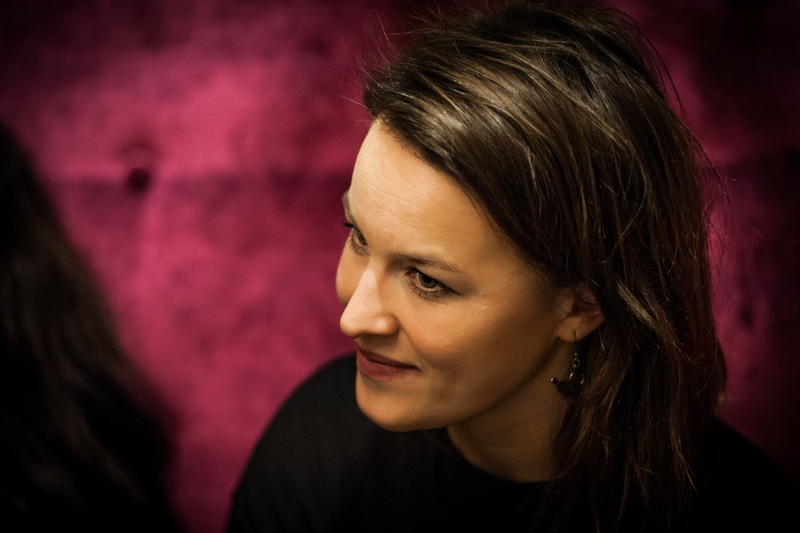 Barbora regularly sings as a soloist with prominent Czech and European ensembles, including Collegium 1704, Collegium Marianum, Musica Florea, Collegium Vocale Gent, Doulce Mémoire, the Berg Orchestra, Ostravská banda. She is also a member of the vocal ensembles, Collegium Vocale 1704 and Cappella Mariana. Barbora performs with singer and harpist Hana Blažíková, cembalist Monika Knoblochová and organist Eva Bublová very often. Barbora has performed in many prestigious music festivals in the Czech Republic (Prague Spring Festival, Concentus Moraviae, St. Wenceslas Festival Ostrava, Lípa Musica International Music Festival, Summer Festivities of Early Music) and elsewhere in Europe (Resonanzen Wien, Uckermärkische Musikwochen Templin, Festival de Sablé, Festival de la Chaise-Dieu, Festival de Sully et Loiret, Festival Baroque de Pontoise, Festival de Musique Ancienne de Ribeauvillé, Festival d'Ambronay, Rencontres Musicales de Vézelay, Festival van Vlaanderen Brugge, Musiekcenter DeBijloke Gent, Festival Oude Muziek Utrecht and the Accademia delle Crete Senesi). In 2007 she took part in a staged production of Claudio Monteverdi's opera Orfeo at the National Theatre in Prague (Ensemble Concerto, Roberto Gini). In 2008 she sang in Vivaldi’s reconstructed opera Argippo (Hofmusici, Ondřej Macek). In 2009 she sang in Julius Zeyer’s melodrama Radúz and Mahulena at the National Theatre in Prague (Collegium 1704, Václav Luks) and in 2011/2012 participated in a stage production of Louis Andriessen’s Dances (National Theatre Prague – Laterna Magica, Berg Orchestra, Peter Vrábel). She was born in Prague. As a child she sung in a children choir Radost Praha and she played violin. Later she turned to solo singing. In 2002 she graduated from the Prague Conservatory in the class of Jiří Kotouč and later she undertook further study with Poppy Holden, Peter Kooij, Monika Mauch and Howard Crook. Today Hana specializes in the interpretation of baroque, rennaisance and medieval music, performing with ensembles and orchestras around the world, including Collegium Vocale Gent (Philippe Herreweghe), Bach Collegium Japan (Masaaki Suzuki), Sette Voci (Peter Kooij), Amsterdam Baroque Orchestra (Ton Koopman), L’Arpeggiata, Gli Angeli Genève, La Fenice, Tafelmusik, Collegium 1704, Collegium Marianum, Musica Florea, among others. 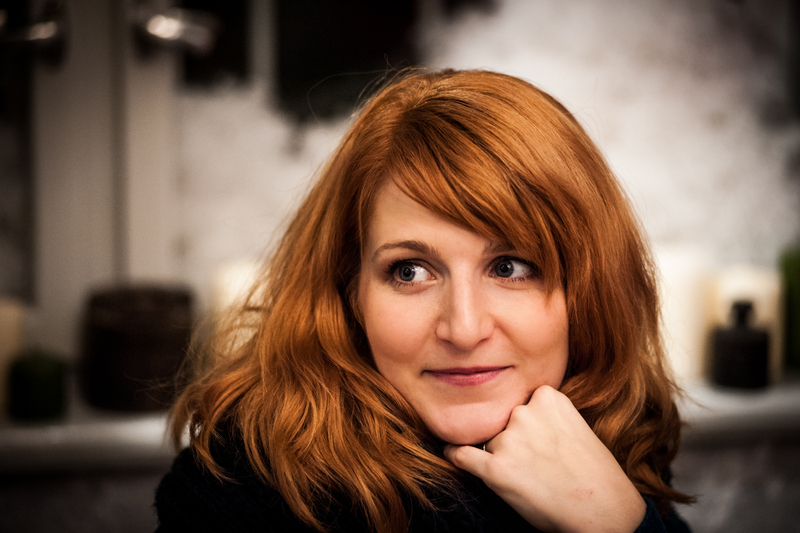 Hana Blažíková has performed at many world festivals, including Prague Spring, Oude Muziek Utrecht, Resonanzen (Vienna), Tage Alter Musik (Regensburg), Festival de Sablé, Festival de La Chaise – Dieu, Festival de Saintes, Arts festival Hong Kong. In 2010 and 2013 she took part in a worldly highly praised tour with St. Matthew´s Passion under the direction of Philippe Herreweghe and in 2011 she made her debut in Carnegie Hall with Masaaki Suzuki´s Bach Collegium Japan. She also sang a soprano part of St. John´s Passion with Boston Symphony Orchestra during the Easter period of 2011. In November 2014 she participated in the stage production “Orfeo chaman” with L’Arpeggiata in Bogota, Colombia. Hana appears on more than 30 CDs, including the well known series of Bach´s cantatas with Bach Collegium Japan. Hana also plays gothic harp and presents concerts in which she accompanies herself on that instrument. She is also a member of Tiburtina ensemble, which specializes in the Gregorian chant and early medieval polyphony. 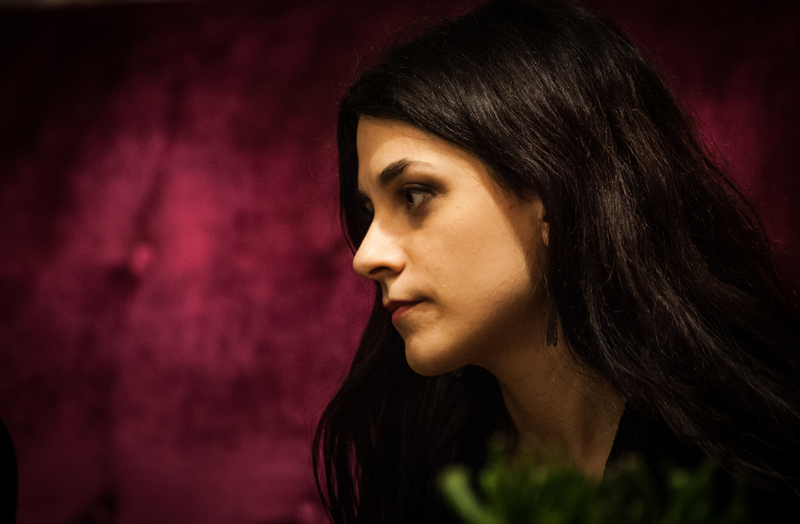 Daniela Čermáková studied singing at the Secondary School of Music in Brno, Theory and Interpretational Practice of Early Music at the Faculty of Arts, Masaryk University, Brno, and Vocal and Music Education at the Faculty of Education, Masaryk University, Brno. Since her secondary studies (1998), she has been intensively engaged in the interpretation of the 16th – 18th century music. Her main interest and strong point is ensemble singing (Societas Incognitorum, Doulce memoire, Collegium 1704, Madrigal Quintet...), as a soloist she performed with renowned ensembles of so-called early music, e.g. Musica Florea, Musica Aeterna, Cappella Accademica. She has a rich record of concerts at significant festivals both in this country and abroad, co-operates with the Czech Radio and Television and makes CD recordings. Moreover she engages in the interpretation of jazz music and chanson, important is also her pedagogical practice. She is a member of Tiburtina ensemble since 2009. Marta has played the piano since her childhood and sang in the Prague Philharmonic Children's Choir when 12. She started to learn solo singing at music school. In 1997 she graduated as a soloist at the Prague Conservatory under the guidance of Antonia Denygrová. She devoted further study to singing under the tuition of Vlasta Hudecová, Professor of Performing Arts in Bratislava. Since 1994 she has been engaged in the authentic interpretation of early music (performance courses led by Marius van Altena, Howard Crook, etc.). She works with ensembles Musica Florea, Ensemble Inégal, Collegium 1704 and Collegium Marianum, Hipocondria with whom she not only performed in concerts in Czech and European stages, but also recorded CDs and performed in Baroque operas. She is a member of Collegium Vocale 1704 and since 2008 has performed with the medieval music ensemble Tiburtina ensemble. 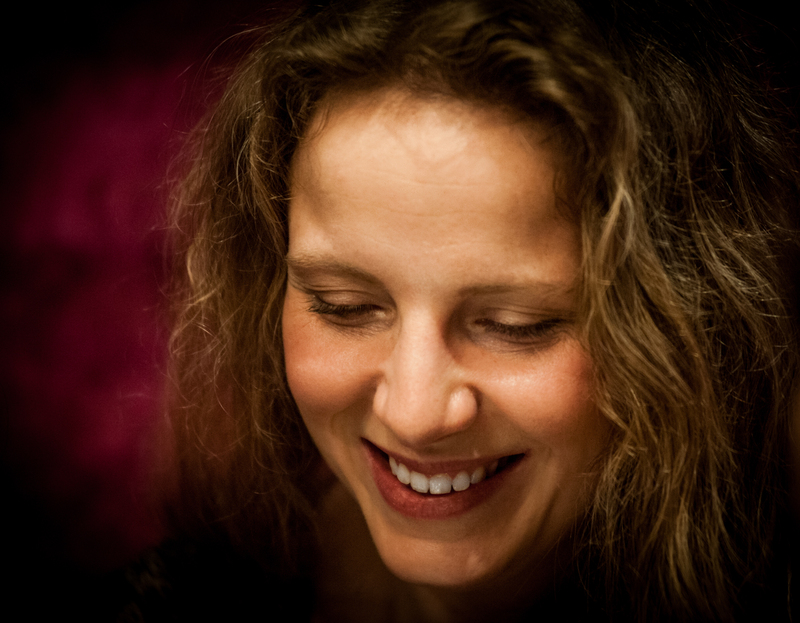 has played the piano since childhood at the music school for children Charlotta Masaryk, where she later became a member of the children’s chamber choir. She later started solo singing whilst at the Břevnov music school for children, and then privately with Eliška Toperczerová. Having finished grammar she now studies Social Work at the Evangelical Theological Faculty. 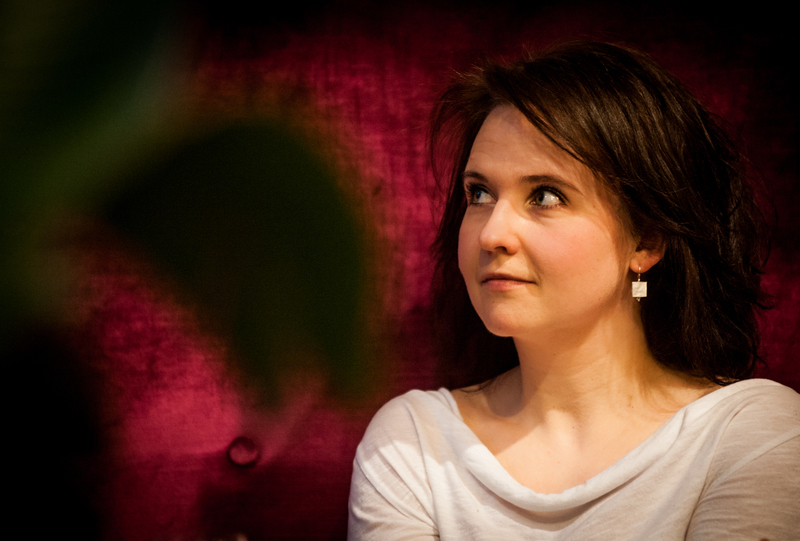 For three years she was a member of the Schola Benedicta ensemble, where she participated in the recording of the Wenceslas II CD (produced by ARTA). She also sings in Aleš Březina’s opera about the trial of Milada Horáková at the National Theatre. She is a member of Tiburtina ensemble since 2009. She is gratuated in singing from the Prague Conservatory and the Berlin Hochshule der Künste (2000), where, under the instruction of the lutenist Nigel North, she became acquainted with the authentic interpretation of early music. That led her to develop an interest in music from the Early Baroque to the Early Classical period. She has attended master classes, for example, with Emma Kirkby, Jill Feldman, Richard Wistreich, and René Jacobs. She was awarded a prize in the Biagio Marini (BRD) competition and was on a year's scholarship at the Akademie für Alte Musik, Bremen. In past years she has been invited to participate in opera projects, for example, the Lausitzer Opernsommer and the Sferisterio Opera Festival, Mascerata. That is where she began to work with the Tuscan ensemble Florilegio Musicale. At home and abroad she gives concerts with various professional ensembles concerned with early music (Capella Regia, Hipocondria Ensemble, Collegium 1704, and Ensemble Tourbillon) and also in duets with Ophira Zakai and Jan Krejča. She is a member of Tiburtina ensemble since 2009. Kamila comes from Ostrava. After high school she attended Janáček Conservatory in Ostrava and later studied solo and concert singing at the Institute for Art Studies at Ostrava University under college lecturer Drahomíra Míčková. From 1999 to 2007 Kamila was engaged as a member of the women's vocal choir, Adash in Ostrava which under the direction of Dr. Tomáš Novotný, interpreted Jewish music. Currently, she is a part of the Prague ensemble Collegium 1704 under artistic direction of Václav Luks. She sang the role of Tangia in Gluck's opera The Chinese Girls for the festival Baroque night in Český Krumlov with this ensemble in June 2008. In Spring 2009, in Janáček Opera, Brno, she performed the role of Small Arab, Young Sailor and Chasseur in the opera Julietta by B. Martinů under the direction of J. Nekvasil. Musica aeterna from Bratislava (SR), leaded by a violinist Peter Zajíček, is also an ensemble she cooperates with nowadays. 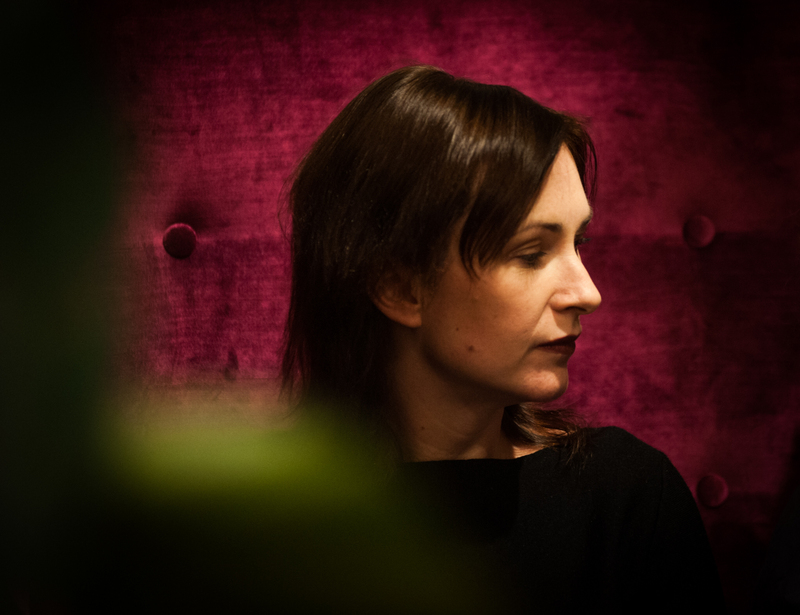 Recently, together with harpsichordist and hammerklavier player, Monika Knoblochová, she presented a revelatory song recital from the work of Czech composer, V. J. Tomášek.Since 2008 she's been teaching at The Jan Deyl Conservatory in Prague. She is a member of Tiburtina ensemble since 2010.
started with the piano and the recorder when she was five; singing came soon after – as a member of the Kühn’s children’s choir and since she was fourteen as a student of solo classical singing. 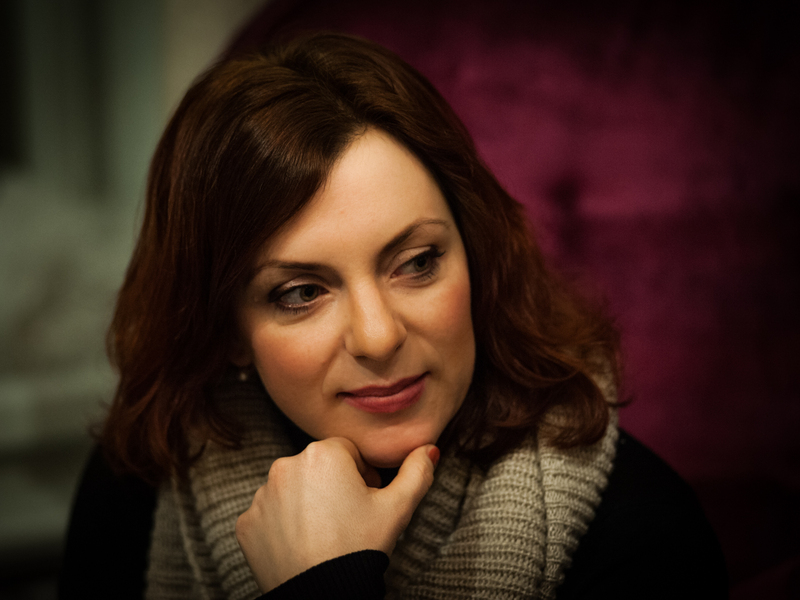 She graduated from the Prague Conservatory in 2001 and later she continued in her studies privately with Drahoslava Královcová – Benešová and the French mezzosoprano Anne Donnadieu. Anna Havlíková performed on many stages in the Czech Republic and abroad. In addition to numerous performances with the Camerata Filarmonica ensemble she performed with the ensemble of historical instruments, Karmína. She also cooperates with Collegium Vocale 1704 (for example she performed in Bach’s St Matthew’s Passion at the St Wenceslas musical festival in Ostrava 2007 and the Easter festival in Brno 2008). Since 2001 she has concentrated on pedagogical activity and since 2003 studies musicology at the Faculty of Arts at Charles University in Prague. started with singing in Prague philharmonic children’s choir. She studied singing under Magdalena Bělohlávková at the Jan Neruda Gymnasium. She regularly attends various interpretational courses (Prague, Brno. Karlsruhe). She won first prize in the national singing competition organised by the pedagogical faculties at Usti nad Labem, and other first prizes in similar competitions. She also won the title of absolute winner of the Singing competition in Olomouc, 2005. 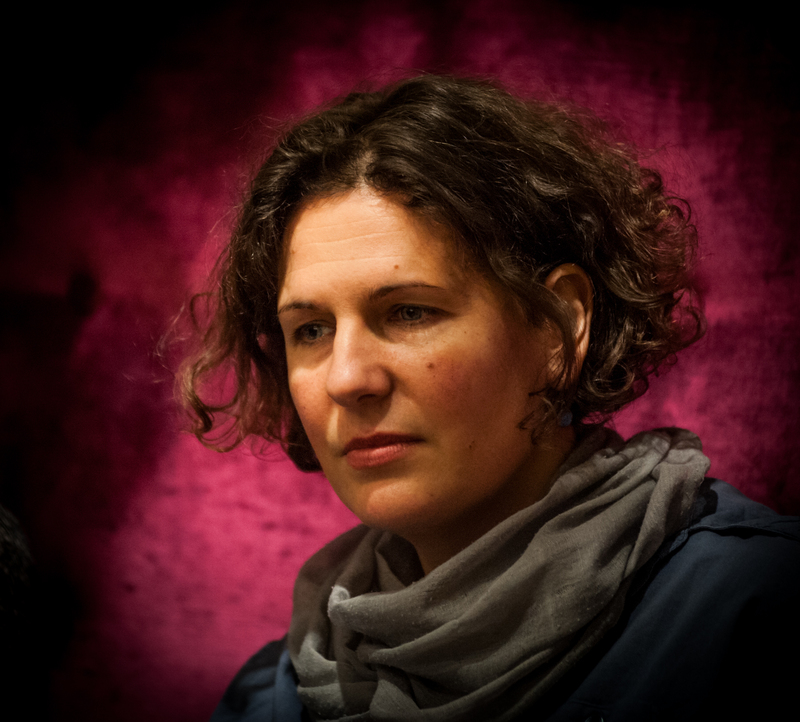 She is a graduate of Musicology at the Faculty of Arts, Charles University in Prague and also of the Theory and practise of early music at the Masaryk University in Brno. She is a member of Tiburtina ensemble since 2009. She also cooperates with Ensemble Inégal, Musica Florea, Collegium 419, Hipocondria Ensemble, and other ensembles specialising in Baroque music. studied singing at the Prague Conservatory in the class of A. Denygrová and then at the Music Faculty of AMU with M. Hajossyová (2005 MgA.). She now studies privately with D. Šounová – Brouková. She completed master courses with M. van Altena (Prague), N. Kniplová (Baden at Wien) and R. Wistreich (Prague). In 2005 she took part in course of chamber singing ( J. Christensen) and opera workshop (S. t’Hooft, J. Gall and P. Van Heyghen) during the 20th Handel Academy in Karslruhe. She specialises in Baroque vocal works and song repertoire. She performed at music festivals in the Czech republic and abroad. She cooperated with Hofmusici (opera J. J. Fux „Giunone placata“, opera „La Semele“ by J. A. Hasse), Harmonia Delectabilis, Cappella Accademica (Vivaldi‘s „Orlando finto pazzo“, Handel’s „Sosarme, Re di media“ ), Hipocondria, Ensemble Inégal, Collegium Marianum (Schmelzer‘s „Herkules and Onfale“), Musica Florea, Schola Benedicta, Solamente naturali and other ensembles. This year she has taken part in the new performance of Vivaldi’s reconstituted opera Argippo.